Home delivery is quickly becoming standard across the grocery industry, and now Walmart is giving customers an even more convenient option for receiving packages when they aren’t home. 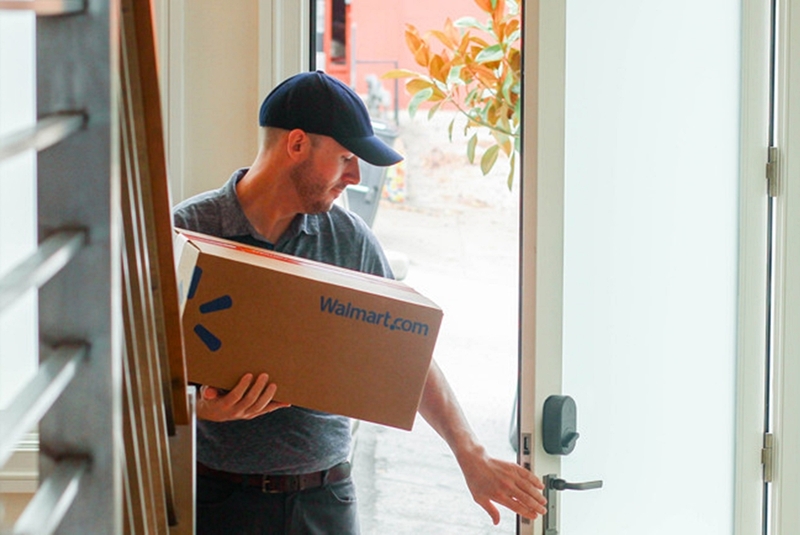 Through a new partnership with smart lock maker August, Walmart customers with smart locks installed will be able to have deliveries dropped off inside their house, including leaving groceries in the fridge. Orders placed on Walmart.com will be sent out via a Deliv driver, who will first check to see if anyone is home. If no one answers, the driver will be given a one-time use code (pre-authorized by the homeowner) to enter the house and drop off the packages. Using security camera inside the home, the homeowner will be able to monitor every moment of the delivery process in real-time through the August app. When the driver finishes and leave, a notification is sent to the homeowner that their front door has been automatically locked. Walmart says the new program is a “natural evolution” of its mission to save customers not only money, but time as well, and it’s hard to argue with the convenience of having your groceries not only delivered, but unpacked and ready for you when you get home. Currently, Walmart is testing the program with a small number of August customers in Silicon Valley, with the intent of expanding such deliveries in the future. Walmart is not the first company to try out in-home delivery, which has become a growing trend recently. NYC-based home service Alfred does the exact same thing with its home managers, while Swedish supermarket chain ICA has also been testing direct-to-fridge deliveries by similarly partnering with a smart home lock company.